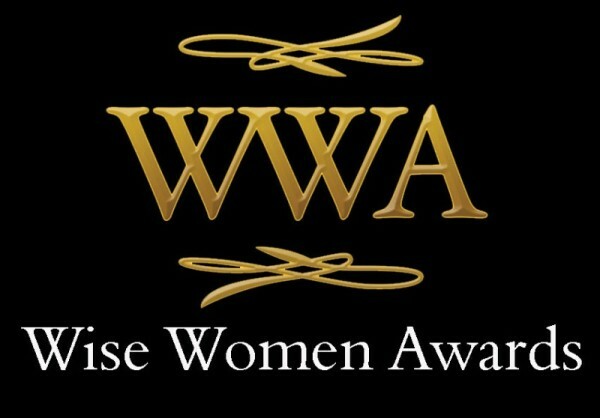 On Saturday 17th March the 2012 Wise Women Awards were held at the London Hilton Hotel in Paddington in front of a packed audience of influential Christian leaders and their friends and family. These awards recognise and celebrate the achievements of Christian women in the UK – and the event is now in it’s 8th year. I had been nominated in the Business Category some weeks previously, and attended with my husband Charles and one of our friendsfirst members who wanted to be there to support us. I genuinely thought the chances of my winning the award were negligible – not least because it’s a highly competitive arena but also because it primarily celebrates the achievements of black women. ; this year I was the only white women nominee. The evening kicked off as we all arrived up the grand staircase of the Hilton – it felt a little like the Oscars with the hotel’s plush red carpets – and there were so many glamorous guests arriving. Balls gowns, black tie and sparkles were the order of the day. The Hilton did us proud with a lavishly prepared room and the ceremony kicked off with some fabulous music from the Premier Gospel Choir, and included dynamic and roof raising singing from Rachel Kerr and X Factor finalist Beverly Trotman. We were honoured to be in the company of some well known and truly impressive people including Angela Sarkis CBE and the quite lovely Doreen Lawrence OBE (mother of Stephen Lawrence). We all enjoyed a delicious three-course meal and were soon on the edge of our seats to hear all about the nominees in each category and find out who the winners were. The Business category came towards the end and my nerves were running high. There was great suspense as the envelope was opened … and it was announced that the winner was … Katharine Gray. I hadn’t prepared a speech so I had to ‘adlib’ my thanks – which wasn’t really hard as I gave the praise to the Lord for what friendsfirst has been able to achieve over our 12 years. As I talked about single people and marriages there was a lot of laughter in the room – I think there were a lot of single people there all hoping they could find partners in the near future. As the event drew to a close it seemed like everyone wanted to take my photograph – either on my own with the award or with them in the picture with me. I seemed to be swamped by people – it was quite an extraordinary experience – and made me feel what it must be like to be a celebrity. Consequently it took us a long time to leave the Hilton – there were people coming and chatting to us at every point, more photos taken and even some filming taking place. A truly wonderful experience – perhaps all the more so because it was so unexpected. My husband kindly filmed some highlights of the evening – and you can watch a short clip of it, including hearing some of the awesome singing, and my award acceptance speech by clicking this You Tube link. I hope you enjoy it and can share in the fantastic atmosphere of the evening. Please do share it and lets others see what our wonderful God is doing.